Whether you run a local independent, operate a franchise or own a string of estate agents, whatever the size of your commercial operation, we can provide an estate agents insurance package designed to suit you. 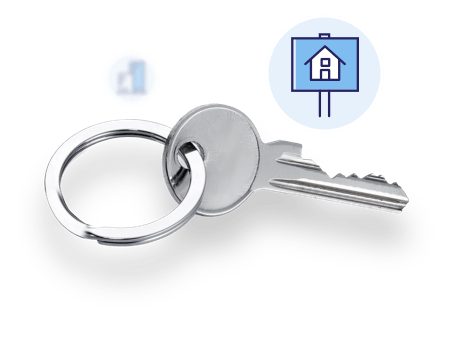 By considering everything, from the size of your venture, to your location, composition of your premises and the number of employees, we are able to create an estate agent insurance policy that gives you peace of mind you need, at realistic prices. Public liability insurance of £2m to cover injuries to others sustained on your premises. Employee liability insurance up to £10m for anyone assisting you at work. General business contents insurance for items such as furniture, fittings, fixtures and PC’s. Buildings insurance for your property including any areas such as residential flats that are separately let or occupied. Legal expenses offering important support in the event of prosecution, for example over breach of the Health and Safety at work act 1974. Up to £1,000 cover for loss of keys or damage to fixed signs and glass. 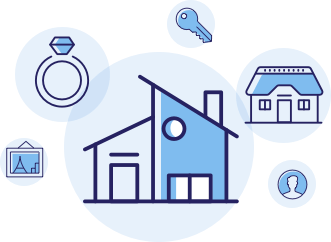 If you are interested in estate agent insurance, our knowledgeable account managers are available to talk you through the options available to you and design a policy based upon your personal requirements. If you own the building where you operate your retail operation, it normally makes sense to insure the complete building as part of your retail package to ensure there are no gaps in cover. Public liability insurance, to meet your legal obligations and cover you in the event of an accident on your premises. Once you employ staff it’s a legal requirement to have the appropriate employee liability insurance in place. Defence of criminal prosecutions and appeals against Improvement Notices under the Health and Safety at Work Act or the Food Safety Act. Business contents insurance may cover a wide variety of assets. From simple items like equipment and PC’s through to expensive fixtures and fittings.